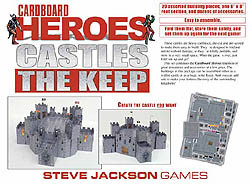 Castles continue the Cardboard Heroes tradition of great miniatures and accessories at a low price. 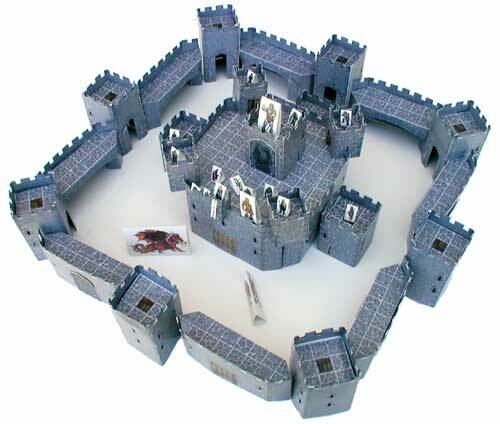 Each set can be used individually, or combined with other sets to make your fortress the envy of the surrounding kingdoms! 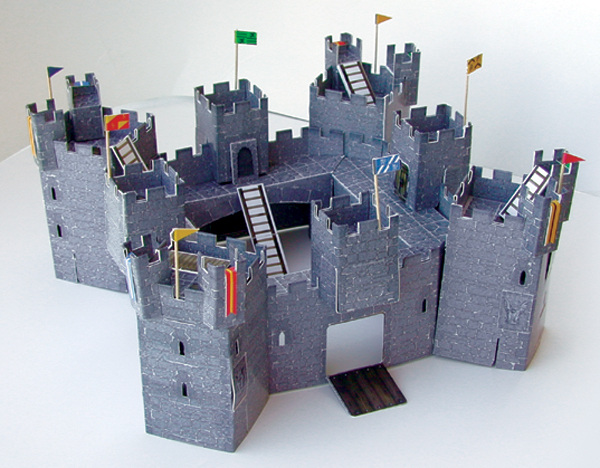 Each set gives you four towers and four walls (plus assorted castle goodies) – set them up as a full castle or two smaller strongpoints. 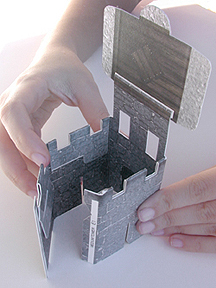 See pictures of different castles you can build with just one Walls and Towers set here and here. 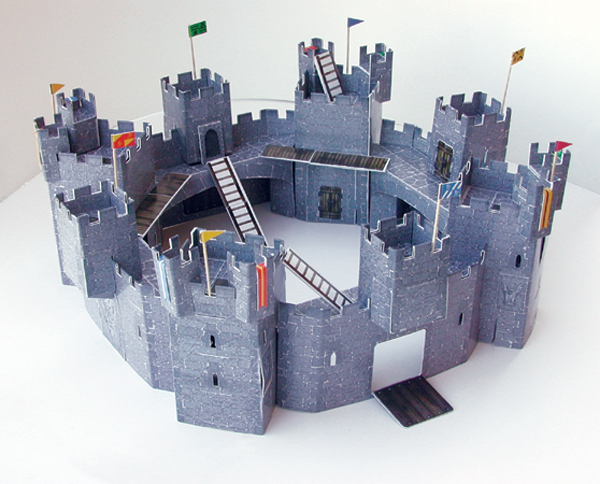 Two sets of Walls and Towers, and one Keep set, built this fortress! 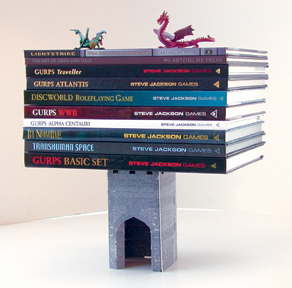 See Castles designer John Hollis' tips for constructing the small towers. 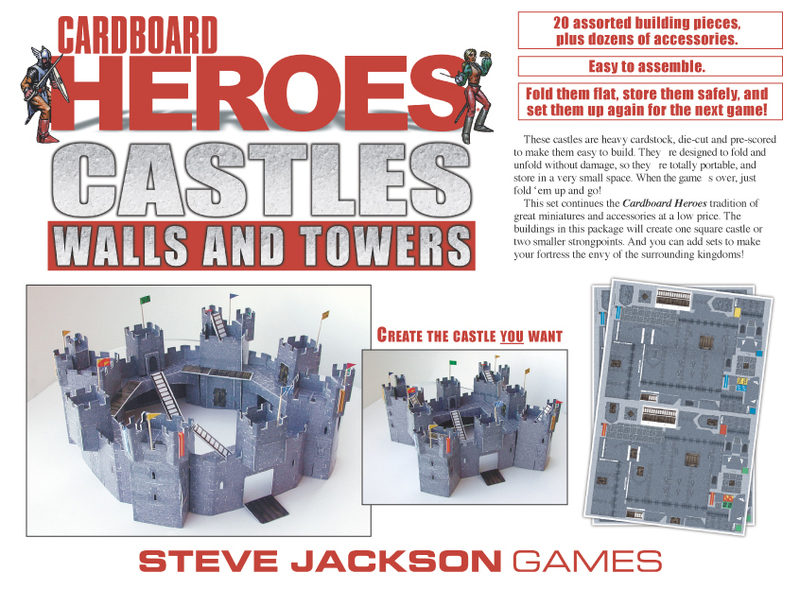 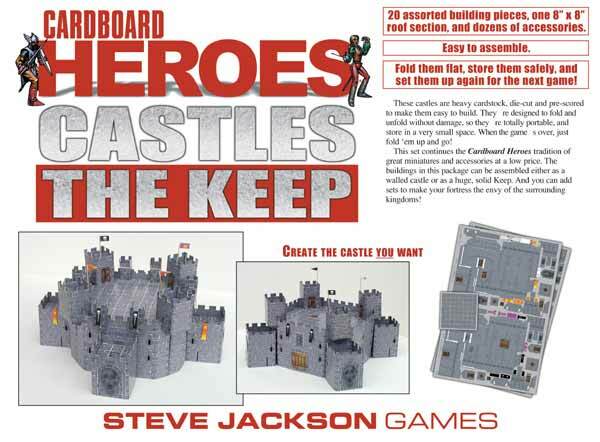 Learn about hoardings for Cardboard Heroes Castles. 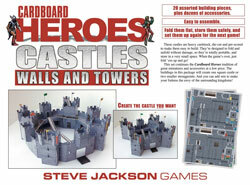 Devin Ganger sent us these great castle pictures, using Lego minifigs and the hoardings.